Manchester United favourite Paul Ince has said that Ole Gunnar Solskjaer is being overly appreciated for his efforts with the Red Devils and he could have done a similar role, had he been offered the managerial position. 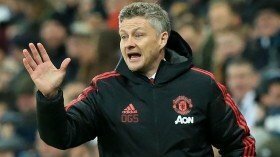 The Norwegian was handed the interim role with United following the dismissal of Jose Mourinho at the helm in December and he has since guided the club to nine wins from ten matches across all competitions. Due to this, there has been wide praise regarding Ole's management in recent weeks but Ince believes other former United players of the same stature including himself, could have made the same impact. "I think I could've gone in, at the time they needed someone to rest the ship I think I could've done that," he told BT Sport. "Brucey (Steve Bruce) could've done it. Mark Hughes could've done it. You could've done it [pointing to pundit Chris Sutton]." United recently picked up their eighth league win from nine matches and the run has propelled them to fifth on the table after Arsenal's defeat at the hands of Manchester City.